He may have left Blue Oyster Cult nigh on 3 decades ago but Joe Bouchard has been anything but quiet spending stints with Spencer Davis, the X Brothers and more recently in Blue Coupe alongside former BOC drummer, brother Albert and Dennis Dunaway original bassist with Alice Cooper. In between projects, time spent as a teacher, writer and publisher have kept him more than occupied. Bouchard`s creative itch however needed scratching. Having created some of their finest moments with Astronomy, Nosferatu and Hot Rails to Hell, Bouchard was always much more than just the bass player in Blue Oyster Cult. 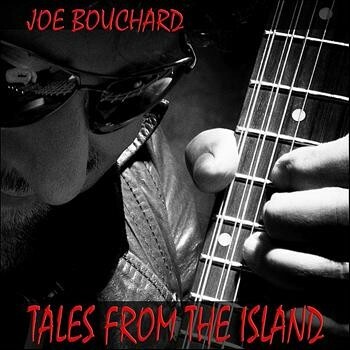 His talents as a songwriter and multi-instrumentalist are fully explored on ‘Tales From The Island’, his second solo album, where Bouchard not only writes the bulk of the material, produces the album but sings and plays guitar, keyboards, bass, drums and trumpet alongside a whole host of other instruments to create a truly solo, solo album. 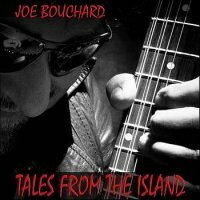 Bouchard covers a lot of ground musically with ‘Retro Rockstar’ and ‘Roadtrip’ ticking the rock box while ‘Wild Lands’ heads off into Springsteen singer/songwriter territory. ‘The Pub That Never Closes’ may well be the song title that many men may dream of but it also features a rather splendid lead break showing that Bouchard picked up more than a few tips from former band mate Buck Dharma. There is much to like about the album and repeated listens reveal further delights. Bouchard however leaves the best until last with the garage Punk of ‘Heart Of Wine’ with its glorious overblown harmony drenched chorus evoking memories of prime time ‘Fire of Unknown Origin’ era BOC.